There are 73 posts in this topic. You are on page 2 of 2. Well currently its my FGy as well, mostly because they see the DMD and so it is the most interesting looking due to that. 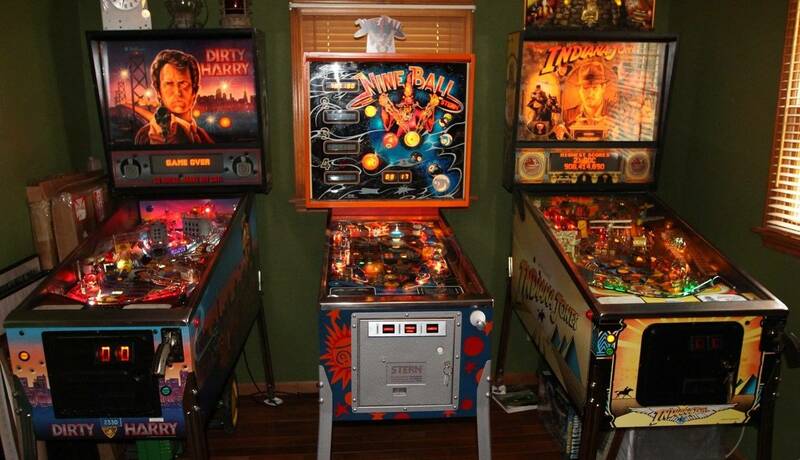 Once they play all three, young players gravitate back to FGy, older players who liked 90’s pins gravitate to BOP, and really old farts will play Pinbot all night because it is the closest thing I have to a flatwood. When MBrLE gets here, it will no doubt be the machine they want to play first... it just drips saturated RGB LED color goodness all over the room... and with the topper and the fact it will be sitting by itself in the front room... which I have been told by the union rep from the National Amusement Machine Bargaining Collective is unfair to the other three machine in my loft... all I have to say is, too bad. Of my current lineup (DI, AFM, FP, DM, Hot Rod) they go for AFM. I can see why true veteran pinheads would go to those games instead of the newer stuff. Same at my place. TNA is about the only newer game that still gets plenty of play. World Cup Soccer. I will never get rid of the pin for this reason. Hands down, THE most popular game in the gameroom is Lights Camera Action. Everyone loves it. The theme is super relatable, and everyone can get multiball. I've thought about selling it a handful of times, but it's simply too popular with the casual crowd. Not much to choose from.. Yep, Family Guy. There's one they love over all others. ... then High Speed, maybe. The ones that are turned on. Met first .... at least 90% of any new player always seems to pick Met first. Fgy is very popular also! I have a three pin lineup, and every time, AFM LE is the first one anyone plays (mostly non-pinball players). It's typically followed by WOZ RR, then DILE. It couldn't be because you're in Canada, eh? TAZ then SS are my clear winners with all ages. Then its MET and LOTR.